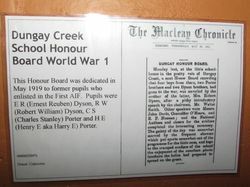 A wooden honour roll commemorates former students of Dungay Creek School who enlisted in World War One. 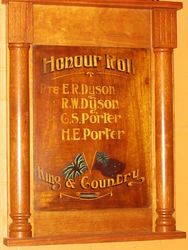 Monday last, at the little school house in the pretty vale of Dungay Creek, a neat Honor Board recording that four boys from there, two Porter brothers and two Dyson brothers, had gone to the war, was unveiled by the mother of the latter, Mrs. Robert Dyson, after a pithy introductory speech by the chairman, Mr. Walter Smith. 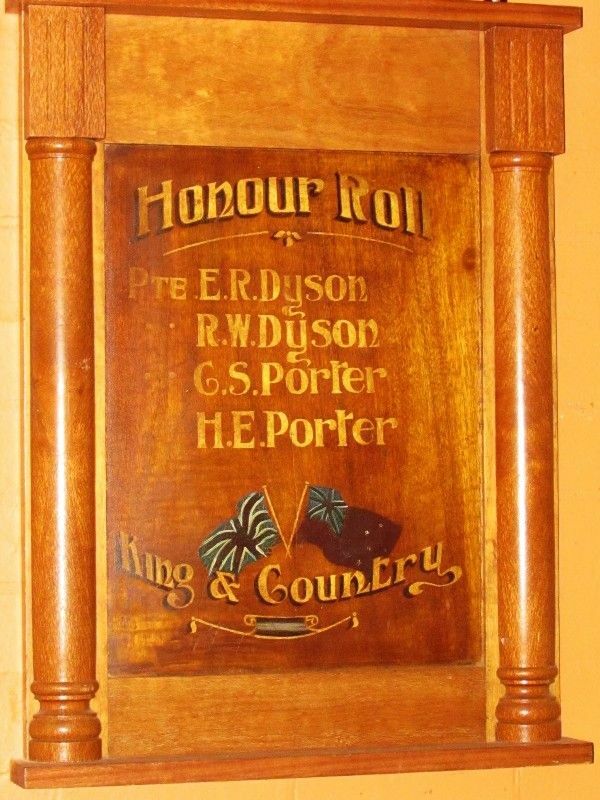 The Macleay Chronicle (Kempsey, NSW), 28 May 1919.